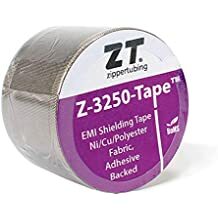 Z Wrap Pfr - Z Wrap - Trade Names - ZT | Zippertubing Co.
Z-Wrap® (PFR) is a pliable, wrap-around, flame retardant, secondary jacket protection solution for your cables or wires, and more. 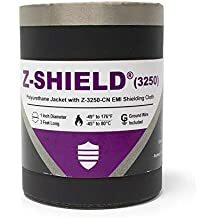 Z-Wrap® (PFR) uses a soft, stretchy, dense, rubber-like poly (ether) urethane jacketing material, ideal for applications that require mechanical protection, with flexibility, fluid resistance or low smoke and non-toxic gas generation, and MIL-SPEC compliance. Z-Wrap® (PFR) can be customized to fit virtually any length, and sizes from 0.375” to 8.0”, offering an economical solution with a cut to length, adhesive closure system, allowing for easy installation with no additional tooling required. The (PFR) Polyurethane film creates an exceptional wear resistance, strength, and abrasion protection reinforcement for wires or cables. Combined with the high bond strength and high temperature adhesive closure, the total solution allows for the combined materials to create a 360° protection solution, where flexibility for tight cable bends are needed.